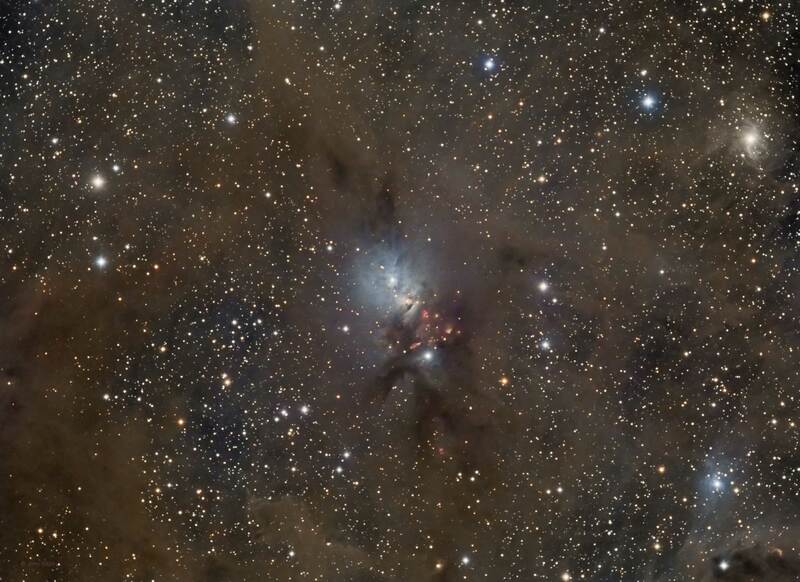 NGC 1333 is a reflection nebula and shows as the blue part of the nebula in my image. NGC 1333 is located in the constellation Perseus at about 1,000 light years away. Dark nebula LDN 1550 surrounds NGC 1333 and LDN 1448 is in the bottom right corner. It is in these dark nebula regions that star formation is occurring and most of the stars in these nebulas are only about 1 million years old. This area is also known for a large number of brown dwarf stars. These newly formed stars and brown dwarfs are all part of a very active star producing area of the Perseus Molecular Cloud.